The GEO CENTRE offers a 5-day Easter Science Camp. 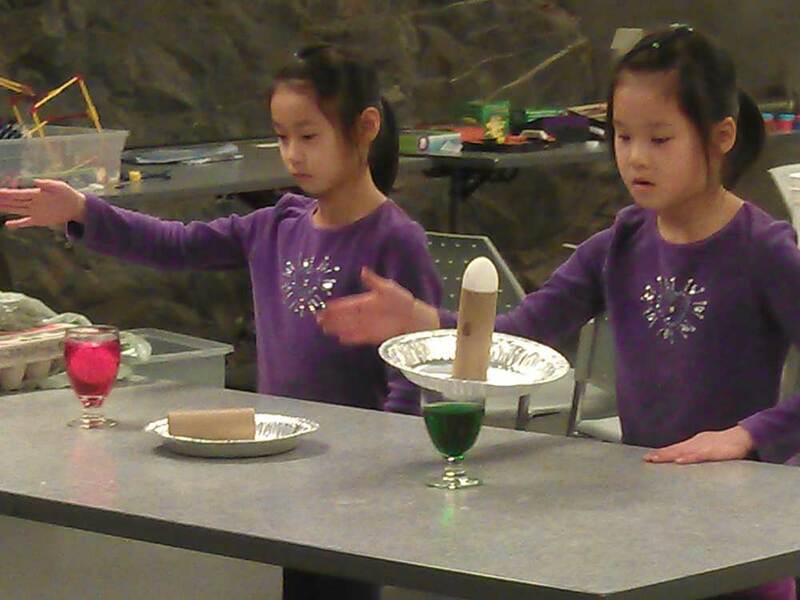 Celebrate your school break and join us for a week of EGGcellent experiments! 10% Discount for 2nd & 3rd Child! Please provide lunch, snacks, indoor shoes and outdoor necessities. You may cancel your child’s registration at any time up to 2 weeks (14 days) before the start date and receive a full refund. Cancellations made or requested after 14 days and at least 7 days prior to the start of the camp will be refunded the amount paid less a $40 administration fee per child. Cancellations made or requested less than 7 days prior to the start of the camp will be refunded 50% of the total cost. The Johnson GEO CENTRE reserves the right to cancel camps due to insufficient registration. In the event of this, parents of registrants will be notified as soon as possible and receive a full refund.